Manufacturing Day kicks off on Oct. 6, 2017. Since 2012, Manufacturing Day has inspired manufacturers to host thousands of public events. Manufacturing Day is more than a collection of trade shows, however. Today, it's a nationwide platform for job seekers, educators, students, media, and even politicians to celebrate the resurgence of American manufacturing. Manufacturing Day has grown exponentially over the past several years. From 2012 to 2013 alone, official events held nationwide nearly quadrupled. In total, the number of Manufacturing Day events has risen 1,000 percent since its inauguration. The rise of Manufacturing Day coincides with a manufacturing renaissance in the U.S., which has the potential to create millions of well-paying jobs. 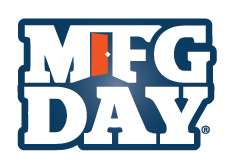 Manufacturing Day gives manufacturers, vendors, and suppliers a chance to bring new products to market and showcase their operations to the next generation. During the entire month of October, sponsors are free to host their own events. Some Manufacturing Day events underscore job opportunities; others highlight new technology. The best part is that any manufacturer can register to participate here. Since any manufacturer can participate, organizations are planning hundreds of events nationwide. Here is a peek at what's on deck at this year's Manufacturing Day. Advanced Test Equipment Rentals, a high-tech equipment company, will host an event Oct. 24, 2017, in San Diego. Select manufacturers of testing and measurement equipment will be exhibiting new technologies. Attendees can enjoy networking opportunities, live product demos, and raffle prizes too. This event in McKees Rocks, PA, hosted by Ace Wire Spring & Form Co., Inc., is scheduled for Oct. 6, 2017. This manufacturer excels at fabricating precision coil springs and wire forms. What makes this event special is that it's an invitation only facility tour. All students can enjoy a guided tour through a modern manufacturing facility. As an injection molding plastics manufacturer, Aire Plastics is at the forefront of innovation. This event, an invitation only tour of Aire Plastics' facility, aims to recruit bright, talented developers. This event will take place on Oct. 6, 2017, in La Vernia, TX. FRIMO Inc. will host an invitation only tour of its own facility on Oct. 6, 2017, in Wixom, MI. The variety of manufacturing services that FRIMO Inc. offers is impressive, so visitors can see the speed of modern manufacturing technology firsthand. In Plant City, FL, LidWorks' event is yet another facility tour, but this one is open to the public. It starts Oct. 6, 2017, and will showcase what it's like to work in the food and beverage container business. LidWorks specializes in manufacturing every type of beverage lid. Prater Industries, a milling equipment manufacturer, will host a public facility tour Oct. 6, 2017, in Bolingbrook, IL. The tour will give attendees a sneak peek at Prater Industries' unique manufacturing processes. Another public tour will take place on Oct. 6, 2017, in Machesney Park, IL. As a precision welding company, Superior Joining Technologies seeks a new generation of skilled welding technicians. This tour is open to students and educators. Varex Imaging's facility tour will take place on Oct. 20, 2017, in Salt Lake City. Varex Imaging specializes in supplying X-ray tubes and imaging processing products to medical equipment manufacturers. Universal Robots will also showcase a live robotics demonstration at Varex Imaging's event. As a precision metal stamper, Wiegel Tool Works Inc. relies on new, progressive technology. This public facility tour will take place on Oct. 6, 2017, in Wood Dale, IL, and the company has invited everyone in the community to participate. These events are only a sample of Manufacturing Day's festivities. For more information and a complete event list, visit www.mfgday.com. Related Companies: Ace Wire Spring & Form Co., Inc., Advanced Test Equipment Rentals, Aire Plastics, Inc., FRIMO, Inc., LidWorks, Prater Industries, Superior Joining Technologies, Inc., Wiegel Tool Works, Inc.